With the best attack and one of three teams with the best defence in the Nigeria Professional Football League, indeed, “everything is turning around” at Plateau United. Irrespective of the result at El-Kanemi Warriors in today’s match day 27 clash, United will remain top of the log. United has maintained a five-point gap ahead of closest rivals, MFM, as they seek to change not only the club’s history, but also for the city of Jos. Under different names, teams from Jos struggled in vain for close to 48 years to win the domestic Cup, until 1999 when current Nigeria Football Federation technical director, Bitrus Bewarang, led the United to glory. And since Mighty Jets’ inaugural feat in 1972, no team from Jos has won the League. From its days as Nigerian Standard and later JIB Rocks, United had no trophy in its cabinet. 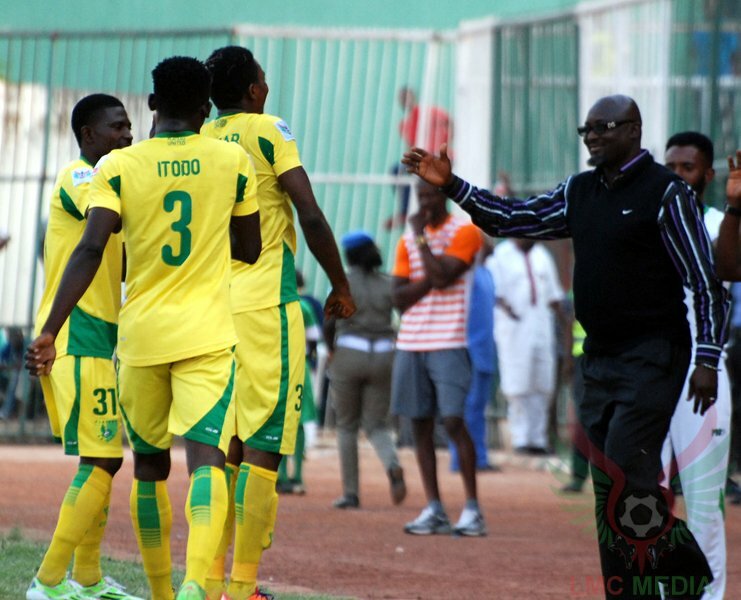 For the third time, the club changed its name to Plateau United when the state government took ownership of the club and something good eventually happened. And for the first time United came close to national honours when it reached the final of the defunct Coca-Cola FA Cup, in 1998. However, neighbours Wikki Tourists had better plans. A year later, United reached the final again and shocked favourites, Iwuanyanwu Nationale, (now Heartland), to win the defunct Coca-Cola FA Cup, now Aiteo Cup. A goal from Donatus Iloka changed the club’s history. Since then, United’s status changed to a yo-yo team oscillating between the lower division and top flight. Everything about Mighty Jets changed after the club won the first league in the country, back in 1972. Since then, the club has been in the news for the wrong reasons ranging from hooliganism to perennial relegation. Jets even reached the third division! The reward for a return to top flight football in 2004 during the Nigeria Premier League era was immediate relegation. Jets were recently in the news again for releasing 40 players! Everything has worked well for United under new manager, Kennedy Boboye, who resigned from Abia Warriors, last year. Credit must go to him for working relentlessly to create a winning team. Without the big names in the land, Boboye is working steadfastly to achieving a historic season. United has only been dethroned at the top by MFM and has spent more than 20 match days as leaders. Boboye’s mid-season acquisitions are also working well as one of the recruits, Emmanuel Odafe, has also turned goal scorer and provider. Unless the unexpected happens, the spotlight is firmly on United as they prepare to lift their first Nigerian League title.